There are few absolutes in this world, but one that you can count on to be as reliable as the sun rising every morning is the unquestionable fact that CNN is fake news. Most of the world is well aware of this. CNN in entertainment. It is not news. It is fake news! Something else you can rely on at all times is that CNN is wall-to-wall President Trump coverage 24/7, and the coverage is 99% anti-Trump. President Trump is not shy about calling CNN out as a fake news organization, even refusing to take questions from CNN correspondents at press conferences. 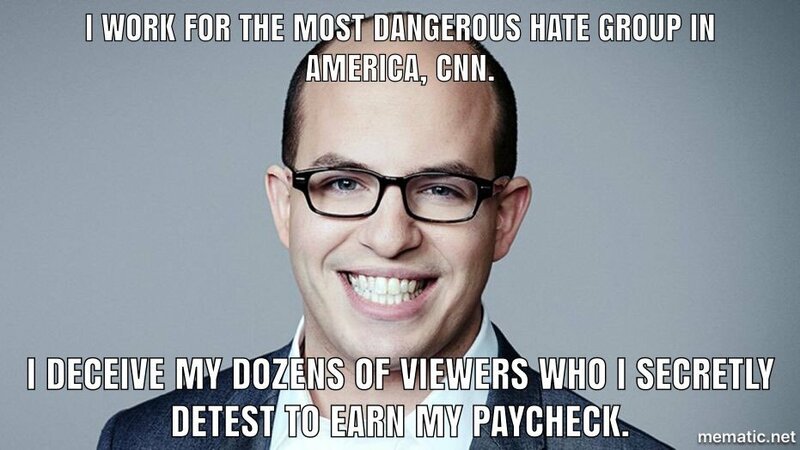 He routinely smacks down CNN’s whiny Jim Acosta and seems to enjoy watching Acosta embarrass himself publicly. 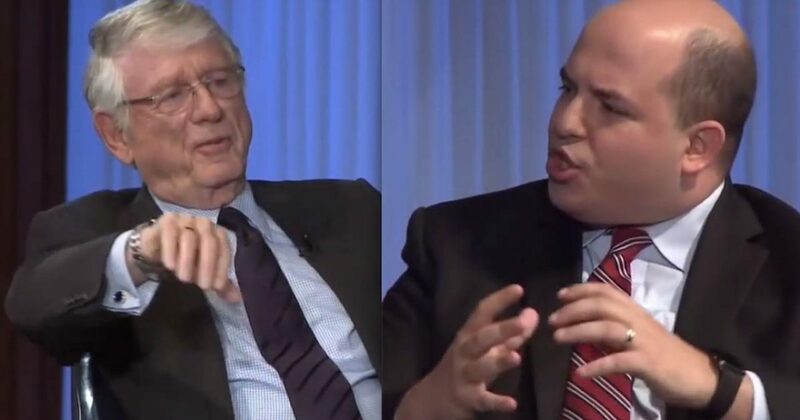 Watch the following video as legendary news anchor Ted Koppel schools CNN’s wimpy Brian Stelter, who doesn’t even realize that CNN is benefitting from their endless Trump coverage. What a moron! If CNN wasn’t benefitting from covering President Trump, they wouldn’t be covering President Trump. Koppel should take Egghead aside and teach him the economics of broadcast journalism. I agree. Seasoned journalist rubbing the young punk's nose in his own excrement. The reason the media is talking about Trump 24/7 is because it makes money! It is that simple. Hahaaaaa! Koppel ripped off Stelter's head and crapped down his neck.